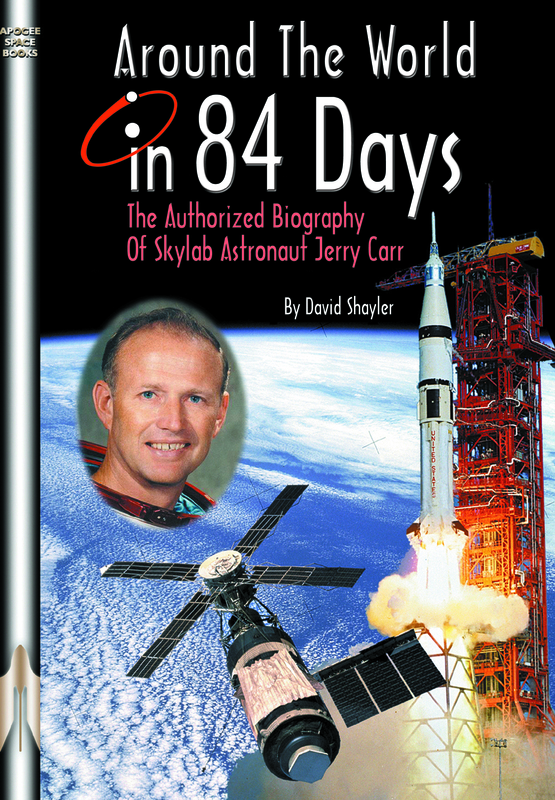 For 84 days Jerry Carr orbited the Earth on board the American space station Skylab. 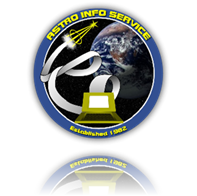 As commander of Skylab 4 the third and final residency the mission set a new world endurance record of 2017 hrs 16 min which was not surpassed by the Russians until 1978 and not by another American astronaut until 1995. 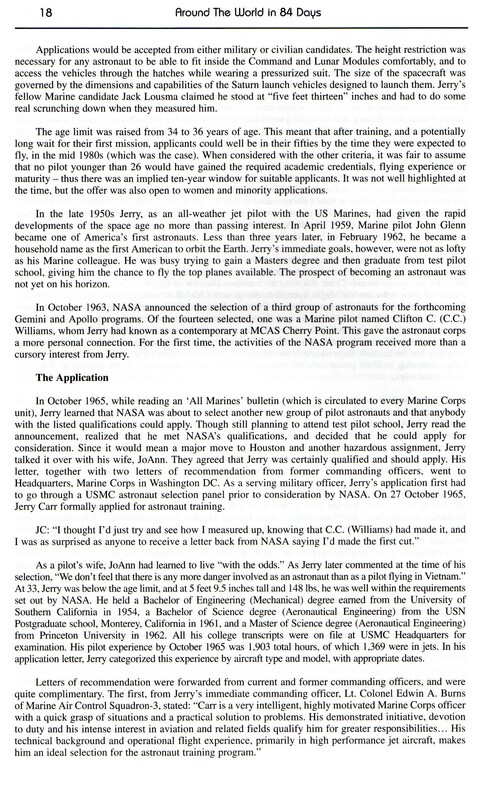 Had events taken a different course Carr he could have become the 16th man to walk on the moon as Lunar Module Pilot on Apollo 19, but that flight was cancelled in budget cuts. 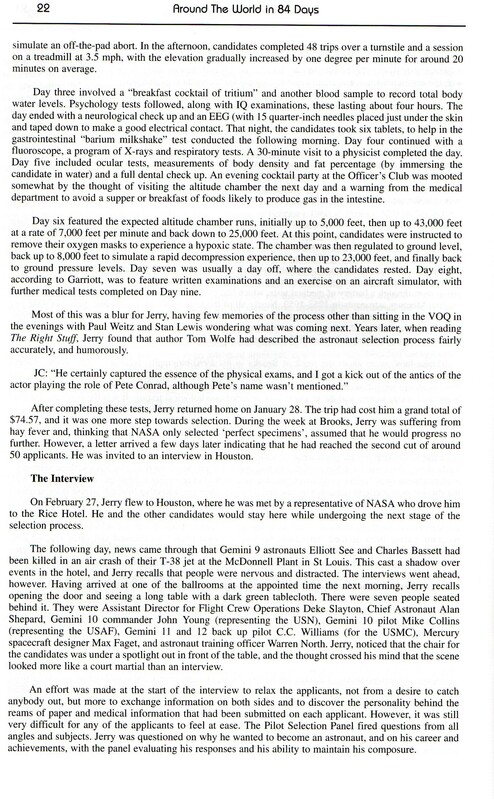 Despite losing the moon Carr feels very fortunate to have commanded the longest flight in history at that time. 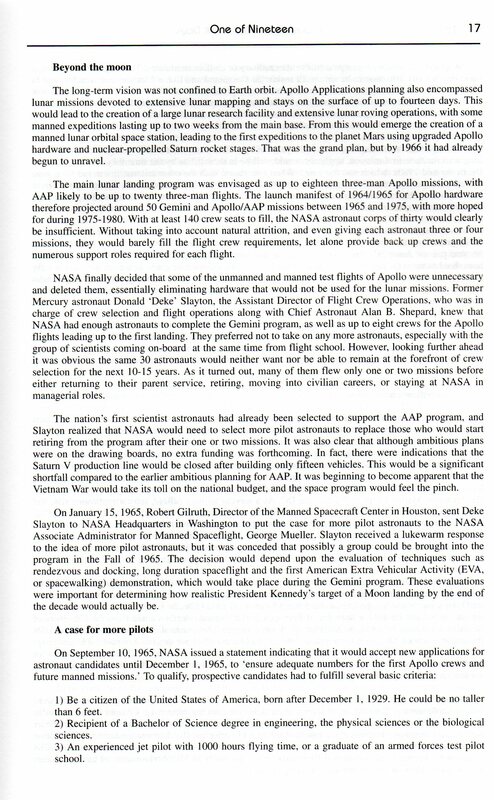 Wernher von Braun once told Carr that Skylab 4 was his choice of a preferred mission in the development of long term space exploration. 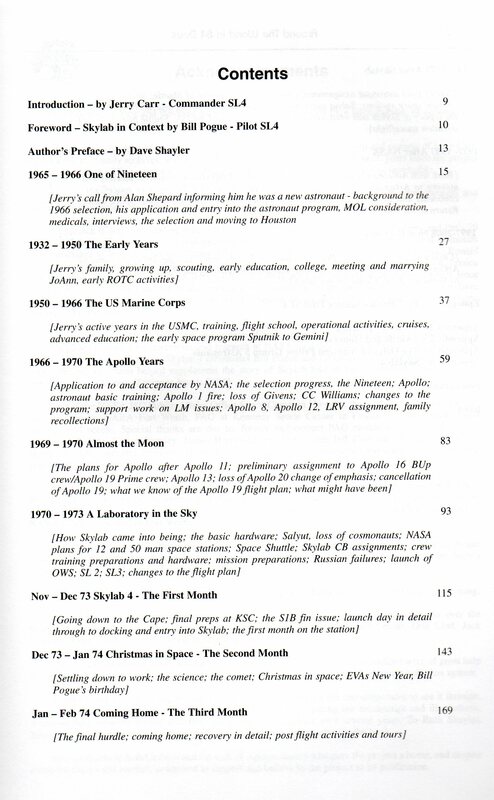 As we look at utilising the International Space Station for a return to the moon and the first human flights to Mars, the importance of Skylab 4 in the broader programme becomes apparent. 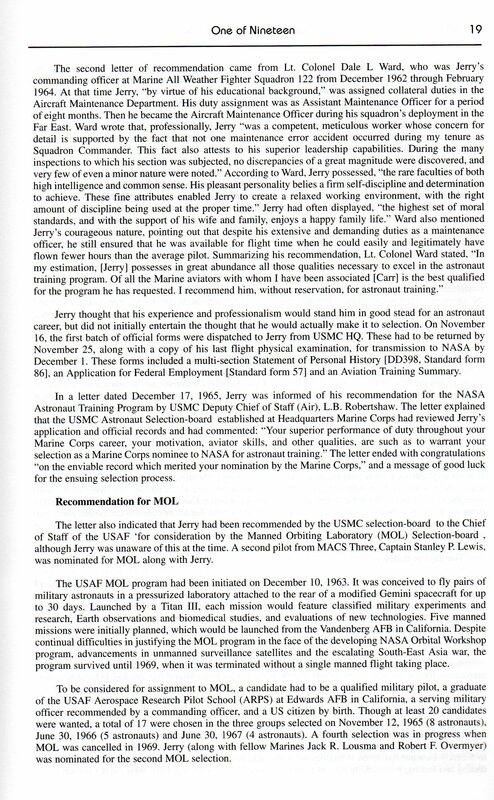 This book recounts not only the story of the pioneering mission of Skylab 4 but also the personal achievements of its commander both before entering the astronaut programme and after leaving it . 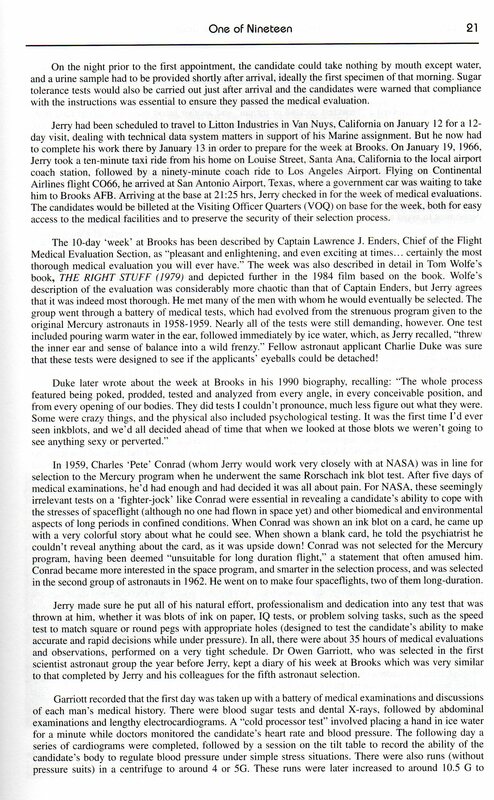 With the full assistance of Jerry Carr, his family and colleagues his very special journey can be shared not only aboard Skylab but in life before and after a spaceflight. 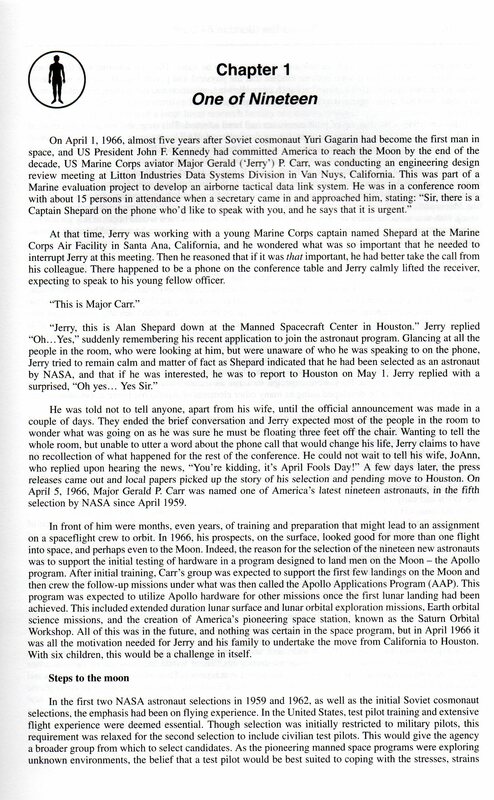 Colonel Gerald P. Carr USMC (retired) commanded the third and final mission to America’s space station Skylab that set a new world endurance record that was not surpassed by American astronauts for over 21 years. Born in Denver Colorado in 1932 he gained a degree in mechanical engineering and two in aeronautical engineering and served as an operational USMC jet pilot for over a decade. 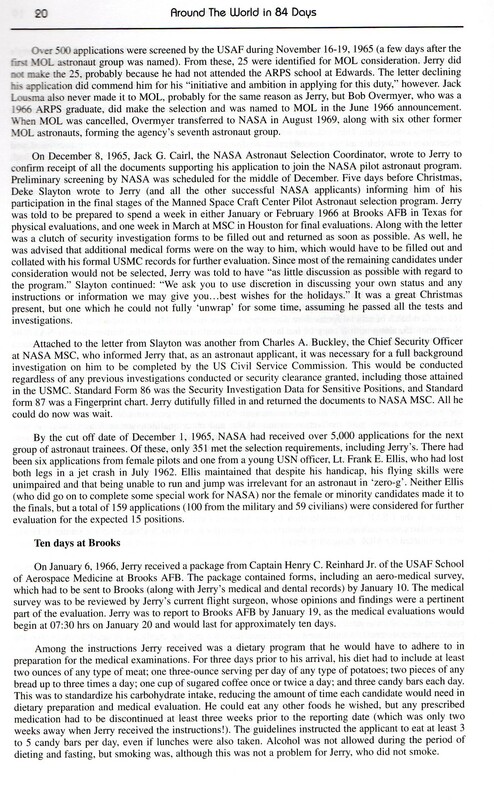 Selected for the astronaut program by NASA in April 1966 he received technical assignments in the development of the Apollo Lunar Module and Lunar Roving Vehicle and served on the support crews for Apollo 8 and 12. Originally selected to serve as backup Lunar Module Pilot on Apollo 16 in 1971 and fly to the Moon as Lunar Module Pilot on Apollo 19 during 1972, the mission was cancelled in 1970 and as a result, Carr lost the chance to walk on the Moon. 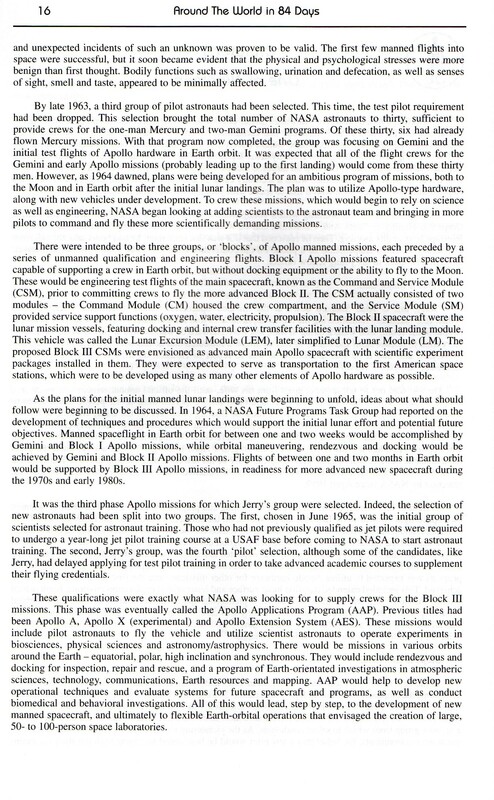 Reassigned to the Skylab programme on 16 November 1973 Jerry Carr, Ed Gibson and Bill Pogue were launched on the 84 day Skylab 4 mission. During three months in space, Carr and his crew logged over 1563 hours in experiment research time, completed 1214 orbits taking over 19,000 frames of Earth observation photography and 73,300 frames of the sun. Carr also participated in three of the four EVAs totalling 15 hrs 51 minutes space walking experience. 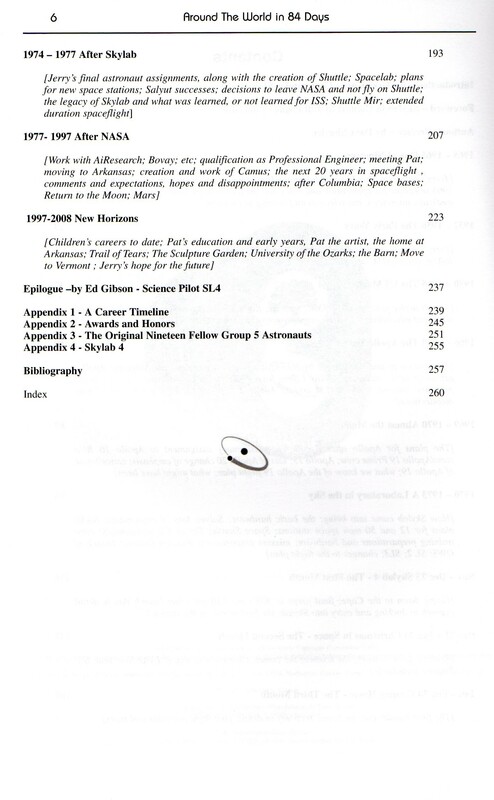 After several technical assignments involved in the development of the Space Shuttle, Carr left NASA in 1977 to become a professional engineer and consultant, and subsequently setting up Camus a family business which provided consultancy to the space industry in the development of space stations and exploring the moon and Mars In 1998 he retried from Camus to devote his time to assisting his artist wife Pat Musick with her highly successful career and art business in rural Arkansas.